I have a question for you: what do Caesar, Genghis Khan, Napoleon, Hitler and the Nazis, Stalin, and ISIS all have in common? Answer: they’re all ultra-statists. This is the third in a trilogy of OUPblog posts. The two earlier posts were also serious exercises in “entry-level” Kantian ethical anarchism. Kantian ethical anarchism is ethical anti-statism. It says that there is no adequate rational justification for political authority, the state, or any other state-like institution, and that we should reject and exit the state and other state-like institutions, in order to create and belong to a real-world, worldwide ethical community, aka humanity, in a world without any states or state-like institutions. I’ll start my argument with the basic Kantian premise that all human persons, aka people, are (i) absolutely intrinsically, non-denumerably infinitely valuable, beyond all possible economics, which means they have dignity, and (ii) autonomous rational animals, which means they can act freely for good reasons, and above all they are (iii) morally obligated to respect each other and to be actively concerned for each other’s well-being and happiness, aka kindness, as well as their own well-being and happiness. Therefore, it is rationally unjustified and immoral to undermine or violate people’s dignity, under any circumstances. Now I’ll quickly define some important terminology. By political authority I mean the existence of a special group of people, aka government, with the power to coerce, and the right to command other people and to coerce them to obey those commands as a duty, no matter what the moral content of these commands might be. By coercion I mean using violence (e.g. injuring, torturing, or killing) or the threat of violence, in order to manipulate people according to certain purposes of the coercer. By the state or state-like institution I mean any social organization that not only claims political authority, but also actually possesses the power to coerce, in order to secure and sustain this authority. This problem applies directly to all kinds of political authority, states, and state-like institutions—basically, any social institution with its own army, navy, air-force, police-force, or armed security guards. 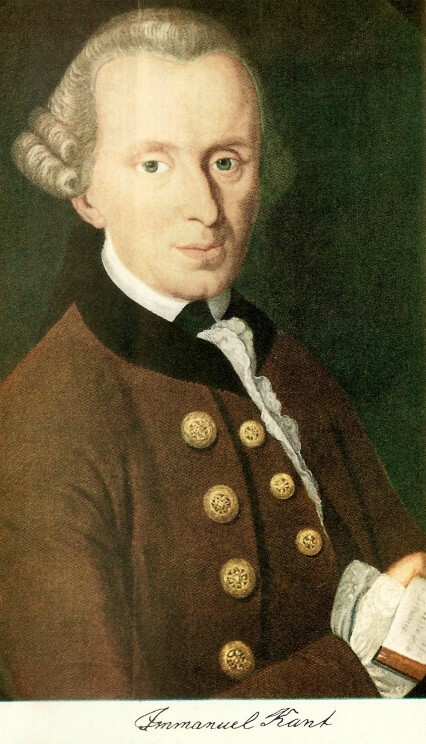 Immanuel Kant. Public domain via Wikimedia Commons. If it is rationally unjustified and immoral for ordinary people to undermine or violate the dignity of other people by commanding them and coercing them to obey those commands as a duty, then it must also be rationally unjustified and immoral for governments to undermine or violate the dignity of people by commanding them and coercing them to obey those commands as a duty, no matter how those governments got into power. But all governments claim political authority in precisely this sense. Therefore, there is no adequate rational justification for political authority, states, or other state-like institutions, and Kantian ethical anarchism is true. To make this even clearer, here is the same argument, by way of an analogy. It is well known since Plato’s Socratic dialogue, the Euthyphro, that what is called divine command ethics is rationally unacceptable. Divine command ethics says that God’s commands are good and right, just because God says that they are good and right, and God has the divine power to impose these commands on people, no matter what the moral content of these commands might be. But this means that God can command anything, including commands that undermine or violate the dignity of people, which is rationally unjustified and immoral. So divine command ethics is rationally unacceptable. Correspondingly, statist command ethics says that governments’ commands are good and right, just because governments say that they are good and right, and they have the coercive power to impose these commands on people, no matter what the moral content of these commands might be. In other words, governments play exactly the same functional and logical role in statist command ethics as God does in divine command ethics. So, just as in divine command ethics, God can command anything, including commands that undermine or violate of the dignity of people, so too in statist command ethics, governments can command anything, including commands that undermine or violate the dignity of people. Therefore, statist command ethics is just as rationally unacceptable as divine command ethics, and again, Kantian ethical anarchism is true. This conclusion might seem incredible! But please consider this. Since the time of the pharaohs and pre-Socratic tyrants, humanly-created states and other state-like institutions have explicitly claimed to possess political authority, and then have proceeded to use the most awful, cruel, and monstrous kinds of coercive power, thereby repressing, detaining, imprisoning, enslaving, torturing, starving, maiming, or killing literally millions of people, in order to secure their acceptance of their authoritarian claims. Even allowing for all the other moral and natural evils that afflict humankind, it seems very likely that there has never been a single greater cause of evil, misery, suffering, and death in the history of the world than the coercive power of states and other state-like institutions. Now imagine a world without states or other state-like institutions, in which all the members of humanity freely form various dignity-respecting sub-communities built on kindness, mutual aid, personal enlightenment and rational enlightenment, and the pursuit of authentic happiness, and then freely link them all together in a worldwide network of partially overlapping sub-communities, the worldwide web of humanity. Isn’t that an infinitely better world than the world of states? But at Christmas time, isn’t it obvious that this is the ethical gospel of universal human love? Featured image: 045 – Border Road, by Ian Wright. CC BY-SA 2.0 via Flickr. Robert Hanna is an independent philosopher, and Co-Director of the Contemporary Kantian Philosophy Project. His PhD is from Yale University, and he has held research or teaching positions at Cambridge University, the University of Colorado at Boulder, the University of Luxembourg, PUC-PR Brazil, Yale, and York University Canada. 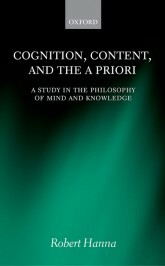 He has authored or co-authored six books, four of which have been published by OUP, the most recent of which is Cognition, Content, and the A Priori: A Study in the Philosophy of Mind and Knowledge (OUP, 2015).